Blow into a bottle with a piece of paper in its mouth. Surprise when the paper comes towards you. Place it in the mouth of the bottle. Blow into the mouth of the bottle. The paper will usually shoot out of the bottle towards you! If it does not, check that the paper ball does not take up more than half of the diameter of the bottle opening. 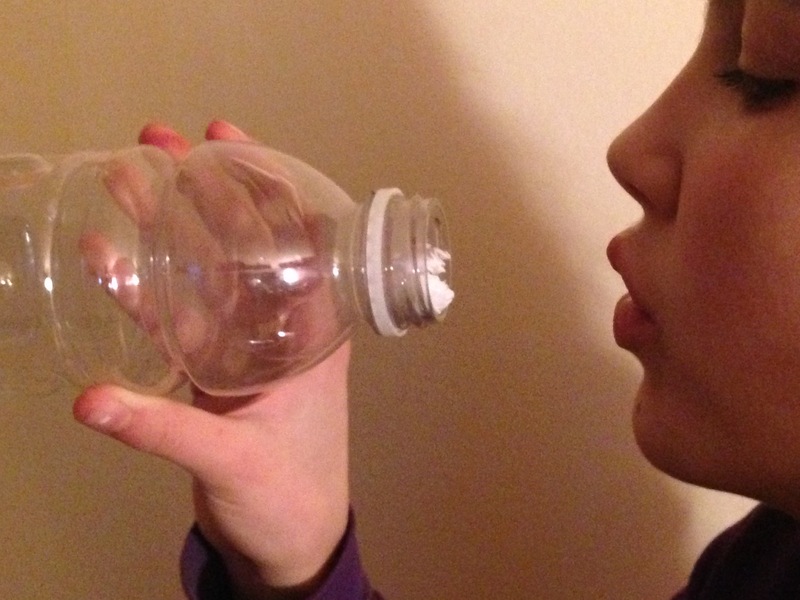 When you blow into the bottle, you add air to it, which increases the pressure inside. The higher pressure air in the bottle will move towards the lower pressure air outside the bottle. In flowing out of the bottle it pushes the paper out.